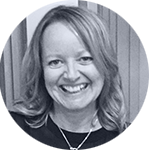 Michelle joined Intelligent Partnership in 2015 as Operations Manager, providing support for Events, Operations and Office Management. Michelle previously worked for Sony UK as an Events Manager on their Product Awareness Road Shows throughout the UK, Ireland and Europe. Prior to this Michelle worked for Direct Marketing agency Claritas (UK) Limited as a Key Client Account Manager. More recently, working as a Negotiator for an Estate Agency in the South West. To relax outside of work, Michelle likes walking her dog, going for coffee or enjoying a good glass of wine – so you’re most likely to see her sitting in the window of any fine dog friendly establishment that offers both.